For part 2 I decided to do the Stealth tutorial. I actually started this project back when the Stealth tutorial originally came out, which is a fairly long time ago, but for a number of reasons I never finished it. But I decided I wanted to try some new things in Unity and I figured the Stealth project was as good as any for me to try these things in. My extended version still has the same premise. Your goal is still to get to the lift and exit the level, but I've changed a lot of the stuff in between. This project took a very long time and became an exercise in discipline just to get done in the end. But I'm fairly happy with it now. I managed to do a lot of the things I wanted to try. The next entry in this series will probably be the Tanks tutorial if and when it comes out after Unite 2015 is done. The other offical Unity tutorials don't really interest me and they don't really come with any cool assets to work with either, which is the best part of doing these extended versions. The assets in the Stealth tutorial are brilliant and can probably be used in a number of different games. Spot on writeup. I actually believe this website needs a great deal more attention. I'll probably be returning to read more later. Thanks for the info! can anyone help me? 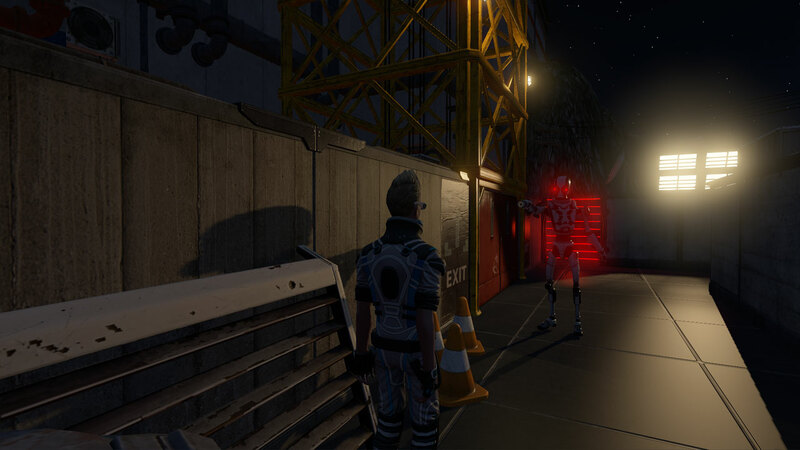 i have followed the stealth tutorial and whilst it is patrolling, it is oblivious to the player, meaning that it is not noticing the player and not chasing the player. any suggestions on how to fix this? Hm, interesting. For me, it's always very nice to see the people who are really dedicated to what they do. And looks like you are really this type of person. Doing what you wish to do, believing in what you want to believe. I wish I cared about rating of Rephraser as much as you care about your project! So informative article! Thank you for sharing this awesome game project detail with us. I have not read these project first part tutorial thats why I have just checked these article and gaining more knowledge. I have learned from this those article. Actually I am working as a web developer at a famous writing agency Edubirdy. You can also check our social community at https://www.reddit.com. Here our writers are always sharing very effective tips and guide about how to improving writing skill. My passion is programming and I am also interested to game developing thats why these tutorial will be very helpful to me. So thanks for sharing this valuable post. On the webpage there is a picture of some guys sitting on the chairs. Anyone can get lab report writing service from browsing online. It seems to be like some sports event but there is no detail about the occasion here, so it would be difficult for users to exactly know what the event is all about. Some of the guys in the picture wore t-shirts of some team.